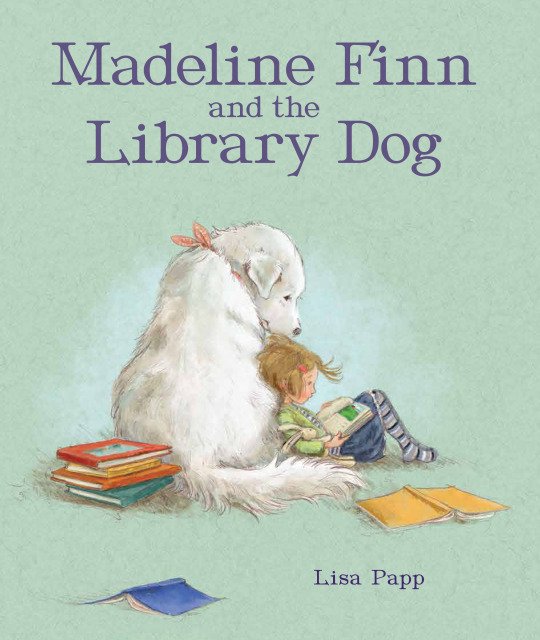 Madeline Finn and the Library Dog, by Lisa Papp; Peachtree Publishers, $16.95, 32 pages, ages 4-7 (October 2016). 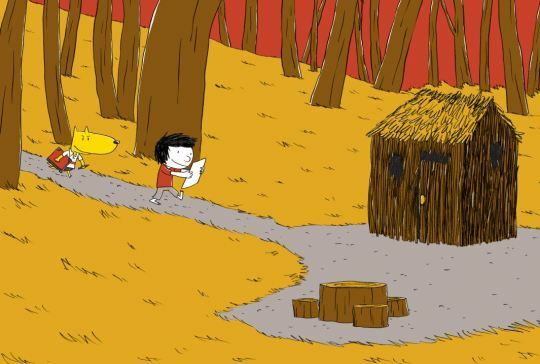 Reluctant readers, rejoice: Madeline Finn hates to read, too. 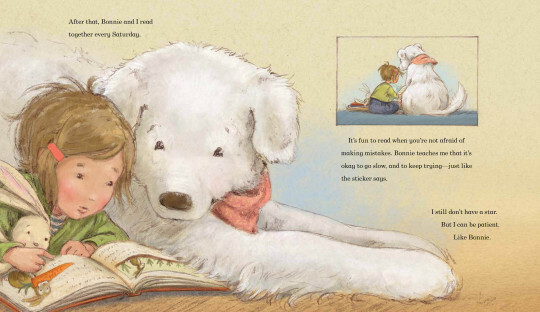 That is, until she meets Bonnie, a docile, patient library dog whose calm, quiet presence encourages the young girl to keep on trying, despite making mistakes. After all, practice makes progress. Award-winning author-illustrator Lisa Papp makes a warm and furry case for canine companions as literary sidekicks in this fun and uplifting tale. 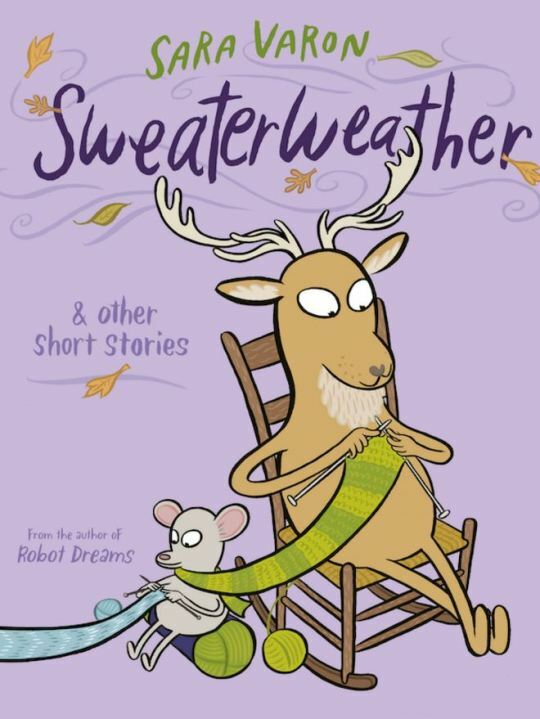 Sweaterweather and Other Short Stories, by Sara Varon; First Second Books, $19.99, 128 pages, ages 8-12 (February 2016). Sara Varon is something of a cult figure for the pre-teen set: her offbeat cartoons and graphic novels are deceptively clever and engaging. Fans will find much to enjoy in this re-issue from 2003 of seventeen illustrated essays exploring the creative process, short stories, and, of course, comics, in which cats, ducks, and elephants share real estate in Brooklyn alongside their human friends. Updated with Varon’s notes for a new generation. 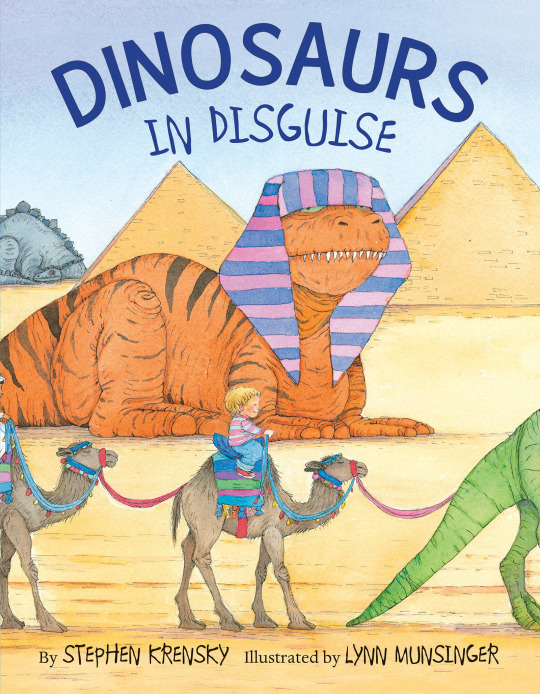 Dinosaurs in Disguise, by Stephen Krensky, illustrated by Lynn Munsinger; HMH Books for Young Readers, $17.99, 32 pages, ages 2-5 (October 2016). 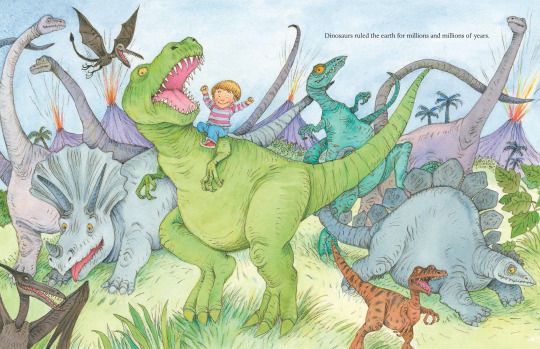 Veteran author-illustrator duo Stephen Krensky and Lynn Munsinger have teamed up to explore a tantalizing hypothesis: What if the dinosaurs never actually went instinct? A little boy imagines where the giant lizards may have hidden throughout human history, from ancient Egypt to modern times. 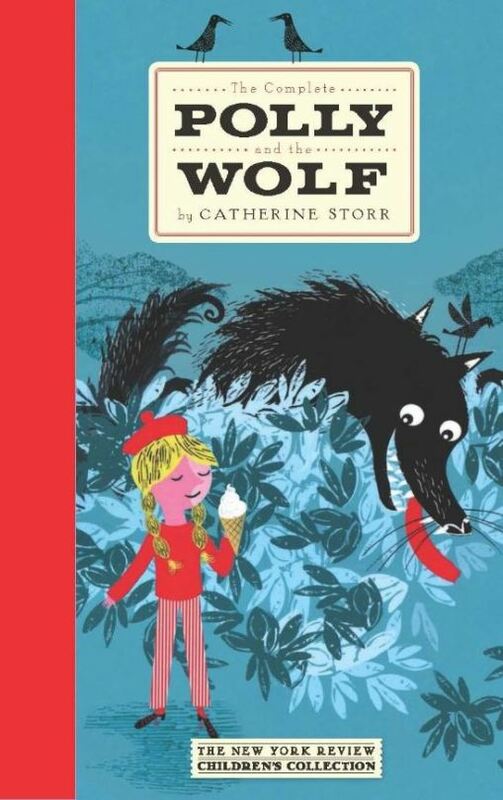 Expect much laughter with this lovable read-aloud. 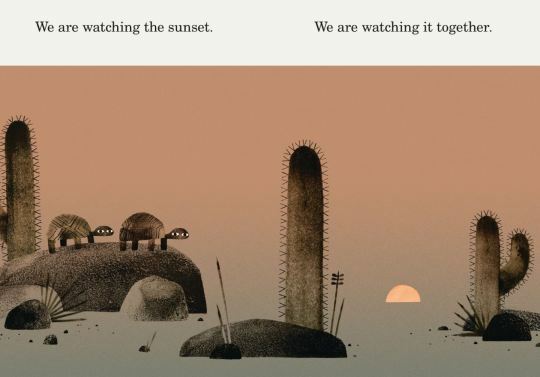 We Found a Hat, by Jon Klassen; Candlewick Press, $17.99, 56 pages, ages 3-7 (October 2016). 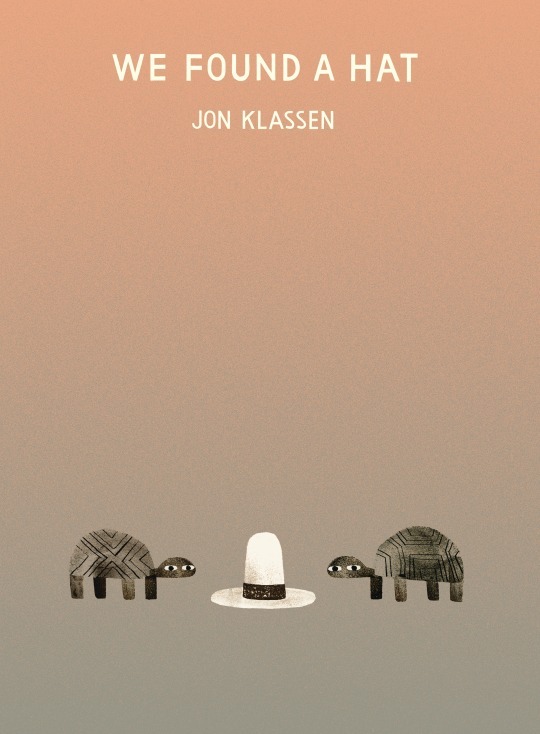 Two desert-dwelling turtles come upon a hat in the sand that bears a strange resemblance to the one worn by The Man in the Curious George series. Both creatures take turns wearing the topper, and decide the best thing to do is leave it for its owner. But will they? This is a Klassen book, so the resolution to the great moral conundrum plays out with delightful poker-faced quirkiness. In this finale to the Hat series, don’t be discouraged by the length–fifty-six pages seems long, but the pacing is just right for indecisive turtles. © 2016 Chris Tougas. Reproduced with permission from Owl Books. Dojo Surprise, by Chris Tougas; Owl Books, $16.95, 32 pages, ages 3-6. The ninja master thinks he’s all alone at Dojo Daycare. After all, it’s early in the morning, and his charges haven’t arrived yet. 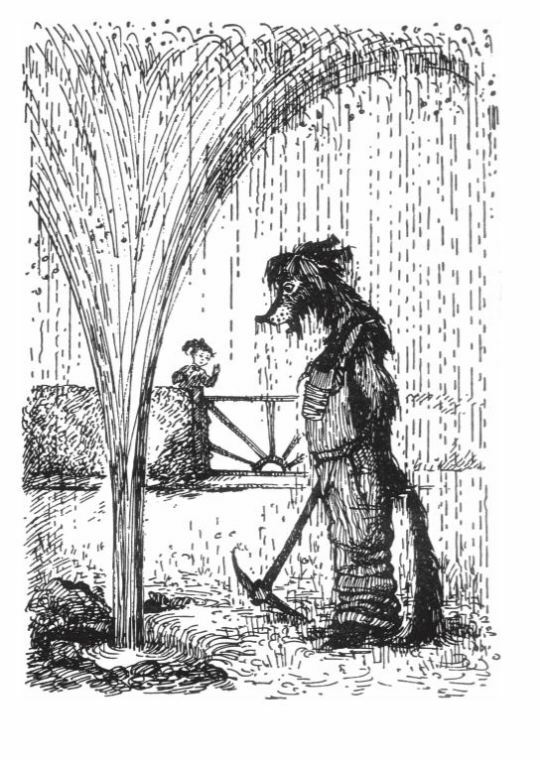 But whither the strange noises, shadows, and–is that dragon drool on the floor? While Master wrestles with his daybreak demons, six little ninja boys and girls sneak into the complex to arrange a birthday surprise for their kindly yet befuddled teacher. This charming offering by award-winning Canadian author-illustrator Chris Tougas is the third in his Ninja series, though Dojo Surprise certainly stands on its own without any prior introduction. Written in bouncy rhyming couplets, young readers will enjoy knowing about the birthday secret before Master is, and the text offers opportunities for active reading participation. Tougas’ digital renderings of a slumbering, semi-conscious ninja master and his delightfully enthusiastic students are bright, engaging, and full of movement. Little ninjas will do roundhouse kicks for the opportunity to read this book. text © 2016 Sue Lowell Gallion, art ©2016 Joyce Wan. Reproduced with permission from Beach Lane Books. Pug Meets Pig, by Sue Lowell Gallion, illustrated by Joyce Wan; Beach Lane Books, $17.99, 40 pages, ages 0-5. Debut picture book author Sue Lowell Gallion has struck a sweet note in this story about accepting and even embracing new (and unwanted) arrivals. Here, Pug is king of his castle; everything he could possibly want is at his beck and call–ample food, large green lawn, and a comfy place to lay his head. One day, Pig arrives, dolled up in a green frock complete with a Peter Pan collar, and the porcine intruder proceeds to interrupt Pug’s perfect routine, driving the poor creature bonkers. 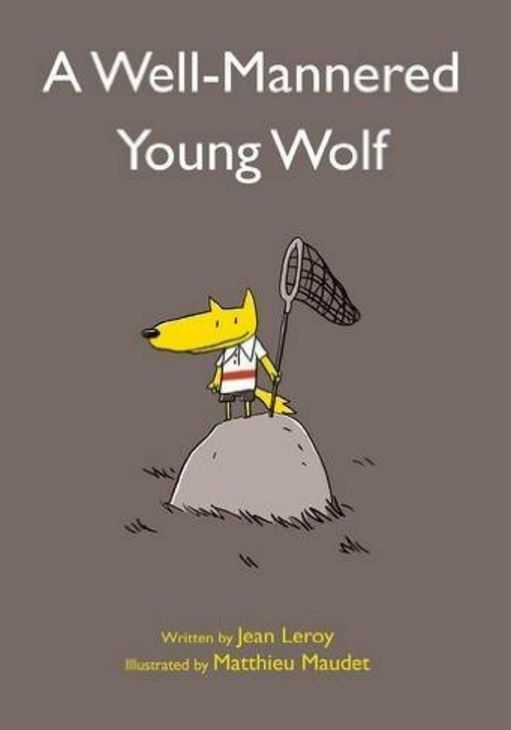 Very young readers will delight at wondering whether this unlikely pair can ever kiss and make up, and the story is a fun examination of how to deal with change. Pug Meets Pig would make a brilliant read-aloud for soon-to-be older siblings. Joyce Wan’s (You Are My Cupcake; We Belong Together) cute, chubby illustrations of the critters subtly reveal the similarities between them. We couldn’t get through October without mentioning wolves, and herewith are two tales that celebrate the oft-maligned and misunderstood canis lupus.